Because of this, you will be seeing new programs creep up in Miami and I am happy to say that I will be involved with two of them. Now I would like to tell you about a new and improved program for Miami Fashion Classes .com and Mia Fashi Design studio. I will continue to serve the lay person and casual students but I am excited to tell you that I will also be adding classes designed to be taken in modules and geared to persons who sincerely desire knowledge about the industry, starting their own line, understanding production, and to train for other jobs in the industry. These classes are designed to be the” first generation” in what I hope will eventually become and alternate training facility or school. Currently there are only two and four year commitments available to students and although these are accredited institutions, they are very expensive and many students have shared with me that they are overcrowded and they come out with big debt and low understanding of what there were supposed to be learning. With more closely supervised instructions, it is my feeling that students can move quickly once their special method of learning is met and nurtured. Yes, this had to happen in small classes, but there is a beauty in that. One can move along more quickly while honing their vision and dream for a future in fashion and apparel business. Please watch for new updates on my webpage and blog and I hope to meet many of you fashionistas in the future. 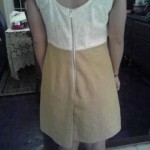 So you may be wondering, why should I learn to sew? There are so many readily available and cheap clothes today and you love to shop? Well sewing is not just for your grandmother anymore. It gives today’s girl a new twist on an old skill to creatively express herself & give a great degree of satisfaction that it is her effort and passion to show the world her own unique style. Besides just fashion there is also a whole world of sewing that can be used to create purses, accessories, and a bevy of things for your decorating heart and home. Being the fashionista that you are, of course you have kept up with the latest trends, your favorite celebs and what they are wearing. Hopefully you even keep a scrapbook of your favorite styles, looks and designers to use as a shopping dream book or even better: to be you inspirations for your own looks. This book can also serve as a “tearsheet” to use as a short cut to be able to draw out your designs with out having to be a great artist. You may even be like me and get lost for hours looking at fashion shows on You Tube and Style.com:) So now that you have chosen a pattern at the store that is somewhat close to your dream look and brought it all home.. now what? You may find that the style on the cover of the pattern isn’t exactly what you wanted. Maybe you want it a little shorter, a little longer, a little looser or a little tighter or a short sleeve vs. a long sleeve. These are all easy fixes! 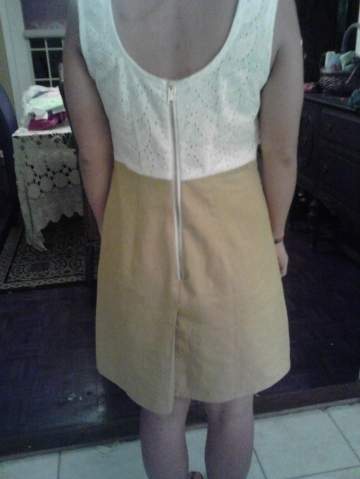 Somethings the neckline can also be an easy change. You will find that many time, what you see in the media, is fairly easy to replicate with a little creativity and style savvy. Miraculously inside that little envelope are instructions for everything you need. Even how to make some of the adjustments I just mentioned. I’m not going into minute detail here, suffice it to say that you need to read it completely, go slow and follow instructions. If you make a mistake in cutting, there is not a lot you can do to fix it. I will tell you the most important things to watch out for. Check your key measurements against the pattern pieces. 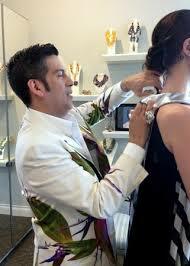 If you need to make personal adjustments to match your measurements make all change BEFORE pinning down your pattern. If you make changes to pattern remember that the shoulders, side seams must match in length to sew together . Inseams and out seams must match in length and curve. Sleeve underarms must match in length. If you wrong side and right side look very similar, mark the wrong side with chalk or wax to know the difference. So now you are on your way. So wind your bobbins, plug in the steam Iron and get ready to create! !